Hello everyone! We are releasing a new set of screenshots to display our upcoming stand-alone game, Warhammer 40,000: Armageddon - Da Orks. They show some of the many new units as well as the brand new Skirmish mode! The game is being released tomorrow! 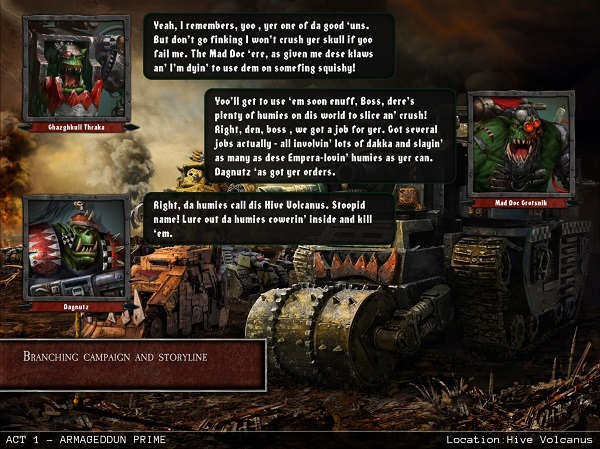 Are you ready for the WAAAGH!? 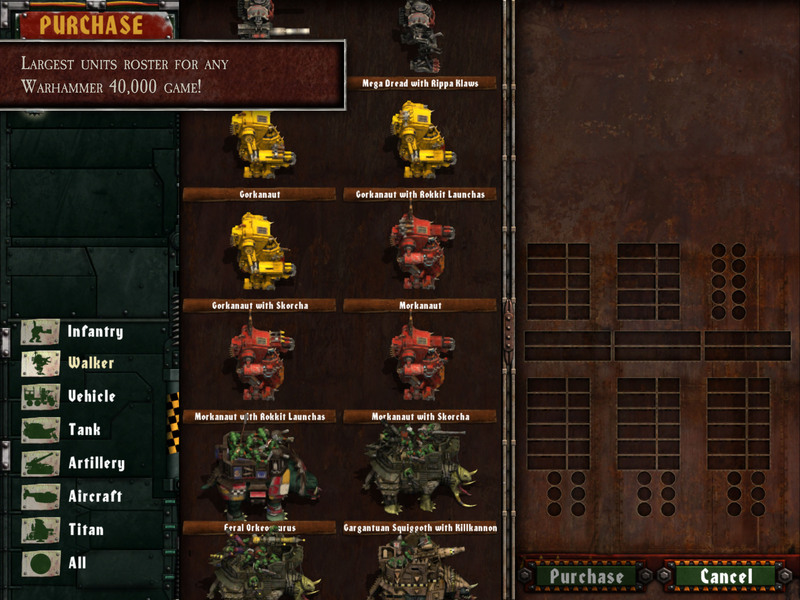 Re: Da Orks - Check the new screenshots! I'm late to the party, but I'm enjoying the iOS version of the game. Now the Space Marines are arriving and their pesky Dreadnoughts are as durable as they were when I was the one using them. Thank Mork for the superheavies I've been getting as gifts. Is it supposed to be possible to rescue Gazghkhull? 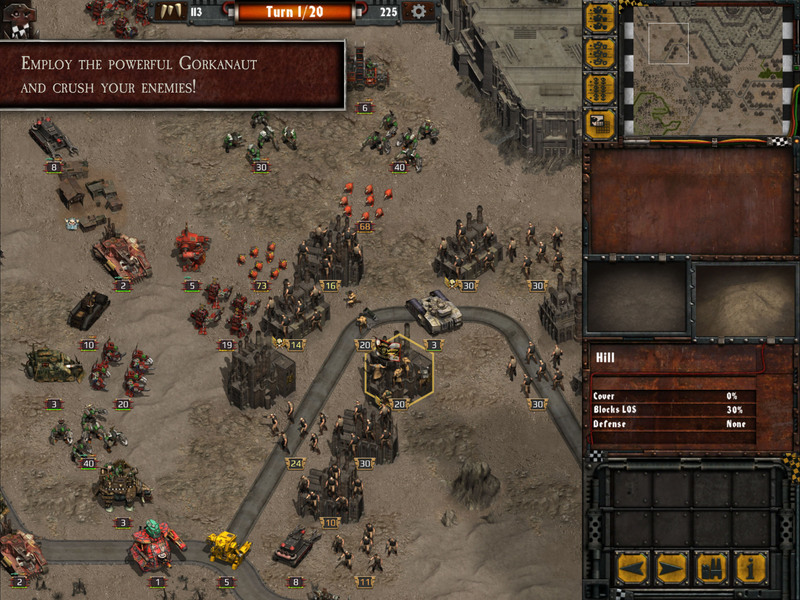 As I recall, there's a mission where Gazghkull is basically surrounded by a ton of Space Marines, and your force is stuck on the other side of the map. If that's the one you're talking about, then read on. It is designed to bleed your forces until Gazghkull eventually gets overwhelmed and defeated, after which your next mission is to get the hell off of Armageddon. The longer you hang on, the more your forces will be depleted, and the harder the NEXT mission will be. The next mission is also a "bleed you dry" mission, where the goal is essentially to get Gazghkull's battlewagon (which is super strong) to the exit hex. 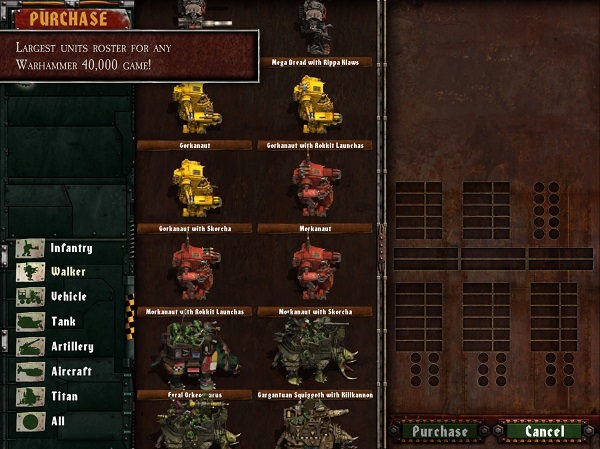 To do that, you have to slog through the jungle, all while being pursued by various Imperial forces which are quite strong (including Ogryn vets, a Reaver Titan, two Warhounds, and a whole mess of Blood Angels, including a bunch of dreadnoughts). What's tricky is that these are the last two missions in the official campaign, but they don't make it obvious. 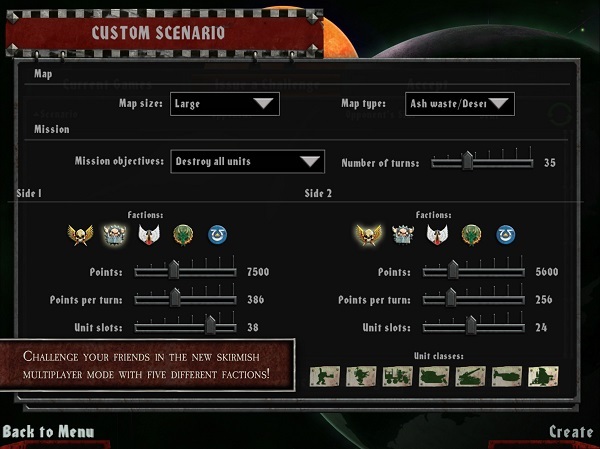 After you finish them, you can play on in a few more "alternate history" missions, but the odds are MUCH steeper against you, and I think there's only, like, 3-4 more missions anyway. 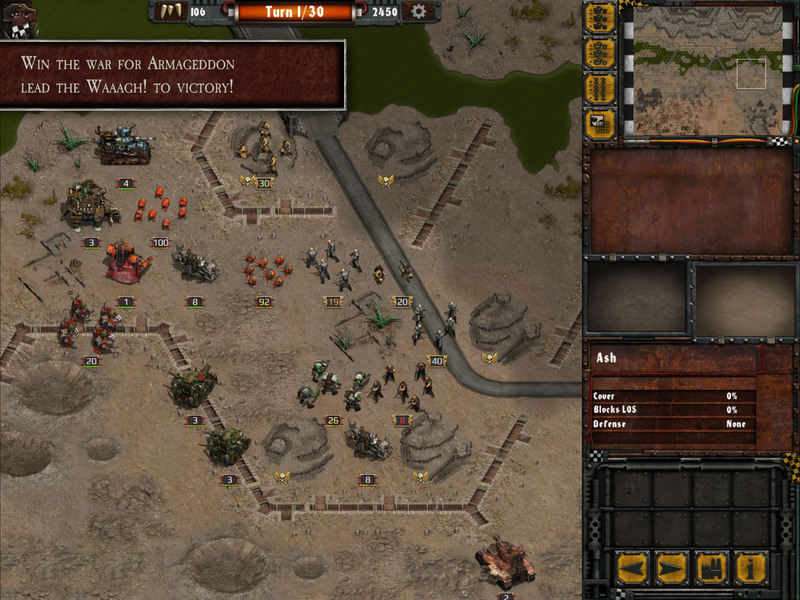 You do get some fun free units, though (looted Land Raiders).